SPECIAL GUESTS ANNOUNCED: TIFFANY ALVORD, MIKE TOMPKINS AND ANDIE CASE. 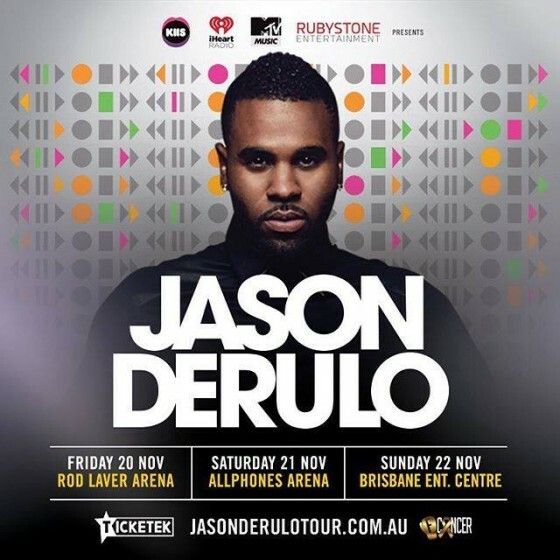 Jason Derulo Australian Tour to raise funds for children with cancer. Following yesterday’s heartfelt interview with Jason Derulo on KIIS FM’s Kyle and Jackie O Show, Rubystone Entertainment are proud to announce a fundraising opportunity for the Challenge organisation to support children and families living with cancer.